As a professor, it’s probably not surprising that I like to learn. Even though I’ve completed a few degrees, I still try to make time to learn new things — daily. In fact, I’ve even shared these learning experiences. There was the Harvard University’s course on Justice with Professor Michael Sandel (I also went through one of his books chapter by chapter), there was my series on cognitive biases, there was MRUniversity’s course in economics, and before all of that, there was Crash Course. This was probably one of the first video series that I came across that I felt like I actually learned (and remembered!) something 20 minutes after the video finished. I first went through John Green’s (the same John Green who wrote The Fault in Our Stars) crash course in world history. Later that year, John’s brother, Hank, did a crash course in ecology. John also did a crash course in literature. I didn’t realize it, but Hank also went on to do a crash course in psychology. There are more crash courses than what I’ve just shared, but those are just a few to give you a taste. Anyway, the reason I’m writing today’s post is because I just learned that Hank is doing a crash course in anatomy and physiology. 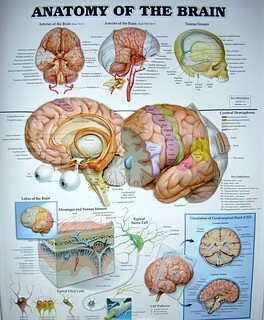 Anatomy and physiology are two subjects that I’ve always wished that I spent more time with. In fact, they’re two subjects that I think we all should have spent some time with when we were younger. I used to have the idea that it seemed like a good idea if as part of our basic education, we learned anatomy and physiology and not as some form of “punishment” (as I understand some people don’t necessarily like these subjects), but because anatomy and physiology is/are us. Anatomy and physiology are the reason that you’re alive right now. This seems an appropriate reason to try and understand it. I’m not going into this expecting to remember every minute detail, but I am expecting that I will have a better understanding of how some of the parts of the body come together to function to make me, me! As an example, I was speaking with a massage therapist the other day and she told me that massage therapists often have to translate what their clients tell them. For instance, a client will often come in complaining that they want to work on their shoulder, while reaching for the area immediately adjacent to their neck. As it turns out, our shoulder is actually far closer to the place where our arm connects to our body. The place that this person was pointing to was, in fact, their neck.